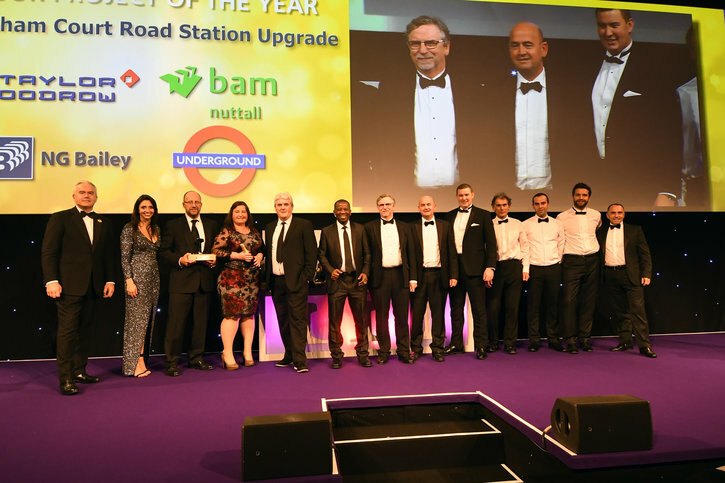 The National Rail Awards are a key networking event in the rail industry’s calendar and were held recently at the Grosvenor House Hotel in front of an audience of nearly 1,200 industry professionals. It was here that the Tottenham Court Road Station Upgrade team claimed the award for Major Project of the Year, for what judges described as a ‘complex engineering challenge in a very confined area’. Tottenham Court Road Station Upgrade is the culmination of a £350m, seven-year project that has also contributed to the regeneration of a major part of London. The win is testament to the hard work and commitment displayed by each and every member of the team in delivering this outstanding station. Congratulations to everyone involved!